Barbuda is smaller and less popular island than Antigua; however, for those that would like to enjoy a more quiet vacation doing the things they love, this is the best place to be. Activities such as fishing, snorkeling, swimming and caving are some of the more popular things to do while being on the island. Both, Antigua and Barbuda are famous for their beautiful, white sandy beaches with birds tweeting on the trees and waves breaking against the shores. Magnificent beach scenery is what Antigua and Barbuda are all about. You can find Barbuda's Frigate Bird Sanctuary, that is a famous destination for many Barbuda visitors and contains approximately 200 birds. The Bird Sanctuary in Barbuda is located in the Codrington Lagoon and is not accessible by foot. However, you can book a guided tour, take a bus and then a 15 minute ride in a small open air water boat. Antigua and Barbuda both enjoy a very tropical climate with very little variance. The best time to visit Barbuda would be from December to May, during the island's high season. Temperatures always range from 27 °C to 30 °C, so you can plan your vacation pretty much for any period of the year. Barbuda is a sister-island of Antigua in the eastern Caribbean that is located 42 km north of Antigua, in the middle of Leeward Islands (a.k.a. Lesser Antilles). The total land area of the Barbuda island is 160.56 km2. The main residential center in Barbuda that is inhabited by the residents is called Codrington. Most of the people that reside in Barbuda live in its' capital. Codrington is located on the North West side of the Barbuda Island and is neighbouring with the Codrington Lagoon and the Fridate Bird Sanctuary. Since the majority of the population resides in Antigua, when the population statistics were calculated they included the Barbuda island. Therefore, the estimated mid-year population in Antigua and Barbuda in 2016 is 92,084. Approximate population statistics for the Barbuda island alone in 2015 is about 1,600 and most of Barbuda's people reside in its' capital city Codrington. Local people in Barbuda are the same as in Antigua. Their religious belief is Christianity and the official language is English. Barbudans are people full of life, culture and happiness. They never grow old and are always enjoying life. The official language in Barbuda is considered to be English. However, a lot of locals in Barbuda speak Antiguan creole, it is an Antiguan form of a dialect, some of the words and their pronunciations are somewhat similar to English and many times are not complicated to understand. But Barbuda has its' own accent, that's what makes the people on the island different. There are several ways tourists can travel to the Barbuda Island. Visitors can choose one of the 3 ways to get to Barbuda. Travelling by an airplane or a helicopter is always the fastest way to get to the island. It only takes about 20 minutes of travel time, and you will be ready to enjoy the spectacular views of Barbuda beaches. An option of travelling by sea is always there, but takes about 90 minutes. If you are interested in flying by plane (which is a lot cheaper than a helicopter) then there are daily flights from Antigua to Barbuda. An airline company "Montserrat" flies to Barbuda approximately twice daily, so there is no problem getting to the island. If you are looking for a more exotic and adventurous journey to take your friends, family or significant other to, then book a Helicopter flight through a charter company called Caribbean Helicopters. It will be a more upscale and fancy trip, but you sure will love looking at Antigua and Barbuda islands from the bird's eye view. For those who choose to travel by sea, "Barbuda Express" offers a catamaran ferry service that departs from Antigua Monday to Friday. 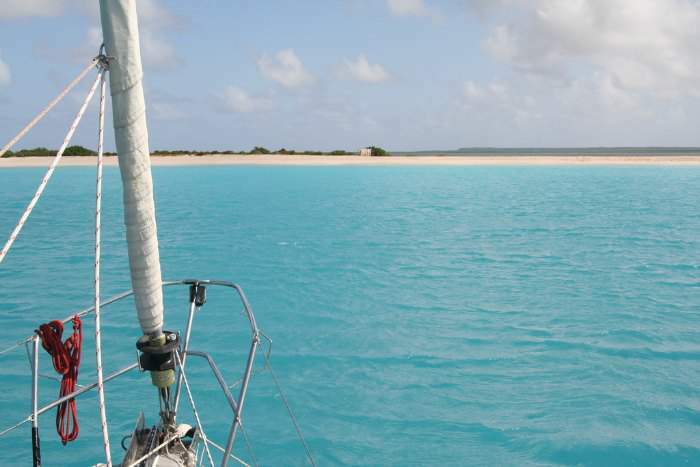 Barbuda is not as populated and tourist-friendly island as Antigua. It has only two resorts attending to tourists. Barbuda used to own more resorts for the tourists, but all of them except for the 2 that are still successfully operating were shut down. The two properties that tourists choose to stay in are Coco Point Lodge, an all-inclusive resort, and Lighthouse Bay, where guests are offered an all-inclusive and non all-inclusive packages at the time of booking. Please be informed, that when selecting a NON all-inclusive packaging, you will be in charge of paying for your own meals and/or hotel amenities, activities and so forth. There are other very basic motels and guesthouses, but people that visit Barbuda prefer to stay in the two hotels where they can fully enjoy their vacation. Same as its' "big sister's" Antigua's cuisine, Barbuda's traditional fare is the same. The islands' national dish is "fungi", which is very comparable to Italian's Polenta. It is made with cornmeal and is very tasty. Other popular dishes include "Ducana" (a sweet potato dumpling), seasoned rice, saltfish (dried and salted cod) and freshly caught lobster. Even though these dishes are domestic in Antigua and Barbuda, they are considered a local food in other Caribbean countries as well. Tourists may also discover that Antigua and Barbuda are beginning to have a diversity of foods on the island starting from Jamaica's jerk meats to roti or even an Arab dish shawarma. When visiting, you will find that Chinese restaurant business is expanding and supermarkets sell an assortment of food products including American and Italian. Climate in Barbuda is classified as tropical marine, so weather in Barbuda rarely changes through its' seasons. Since there is not much temperature variation in Barbuda, January and February are considered to be the coolest months with temperatures as high as 27 degres Celcius. July and August are the warmest months of the year, but the temperatures at 30 degress celcius are not far from what the weather is like in January and February. Public transportation in Barbuda is not the same as in Antigua, since Barbuda is a much smaller and less visited island by the tourists. Taxis is one way of seeing the beautiful island. Taxis are governed by Barbuda Council that sets up their rates as well, so if you do hire one ask to see their price list, they will be happy to show it to you. The benefit of hiring a taxi is that a taxi driver can be your guide as well, showing you the many landmarks that Barbuda has to offer. Just a friendly reminder, when looking for a taxi, pay close attention to the license plates of the vehicles. To spot a taxi look for a "TX" sign on the license plates of the vehicles. In case you need to reach a taxi, please call them directly. 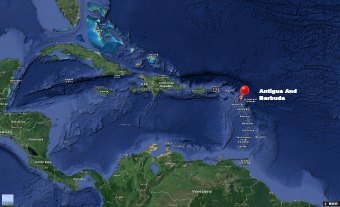 Barbuda's internet connection might not work as properly and e-mails might get lost. Another way of getting around Barbuda is renting a bike. Just do not forget to wear a hat and apply sunscreen, weather in Barbuda is hot. Due to high price for gas, frequent car maintenance and service because of very bad and bumpy roads, it is problematic and very expensive business for Barbudans. In case you do decide to rent a car, you need to purchase a local licence from the Ginnery office, the license from your home country will not be valid in Barbuda. Sometimes Barbuda's gas stations run out of gas, so check with the service station if they have gas, prior to seeing very low gas supply on your speedometer, just so you do not get stranded in the middle of the road. Barbuda's currency is the same as Antigua's. The island uses Eastern Caribbean dollar as well as American currency, but at most places the change can be in EC dollars. Almost all hotels and restaurants in Barbuda add a service charge of 5% to 10% to their bills and/or invoices. At all-inclusive hotels tipping is included in all of the bills, but if a guest would like to be extra appreciative of the service received from the employee, a little extra tip will do. Barbudan vendors that you might come across on the beach are all licensed by the government, so do not be suspicious if one of them approaches you to sell you their goods. Barbudan vendors do not harass, and if you are not interested a "No, thank you" would be more than enough. Barbuda is generally considered a safe island, with a very low crime rate. When travelling to Barbuda just keep in mind the common safety rules. These include but are not limited to keeping your belongings with you at all times or in a safe at your hotel, resort or lodge, always walking in a group of people or with a friend, for example, or a family member, if you decide to take a trip outside of the resort, and not walking in deserted streets both during the day and at night. Water in Barbuda is safe to drink; however, if tourists would like to feel more secure, then an option of purchasing bottled water is available. Voltage in Barbuda is the same as in Antigua at 110 and some places 220 volts. Just to be on a safe side, bring a travel adapter or a power plug with you when travelling. It will save you the hassle and time of trying to find those things in Barbuda. 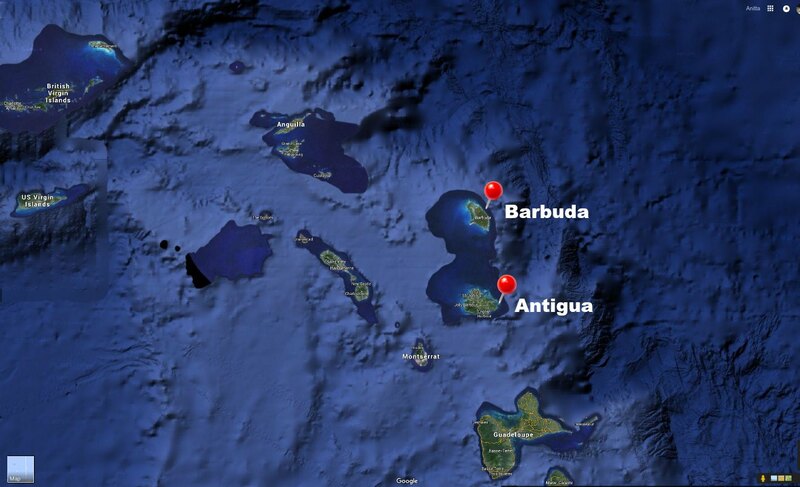 Barbuda's residents live on the same Atlantic Standard Time as Antigua. Having said that, Barbuda does not operate on a daylight savings time.